﻿ Park&Fly Parking samochodowy Jasionka. Lotnisko Jasionka - Rzeszów. Parking przy lotnisku. To accommodate parking needs of the Jasionka airport passengers, PARK AND FLY JASIONKA offers hassle-free off-airport parking solutions for the duration of your journey. 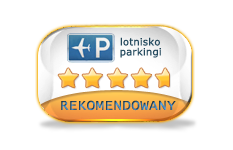 Park your car at PARK AND FLY JASIONKA, located only a short distance from the INTERNATIONAL AIRPORT IN JASIONKA. The safety of your car is our priority. fast and efficient customer service, free transport to the airport (2-3 minutes' drive) in a 9-seat bus. The car park has sheltered space which allows you to leave the car in a well-protected carport which conforms to all the safety norms.